We have a lot to talk about here. In the early 90s, my sister and I owned a Girl Talk board game. It was a truth-or-dare style game in which girls do what girls do: call boys, be silly or get a zit! A zit in this case being a red circular dot that you could remove after the game. If only life were still so simple. So this game mostly belonged to my older sister, who is six years my senior. She and her friends would crush on boys and wear zit stickers. I couldn’t ever join in because I didn’t know if Aladdin even had a landline. The owes of being the youngest. But something incredible came to my attention recently. 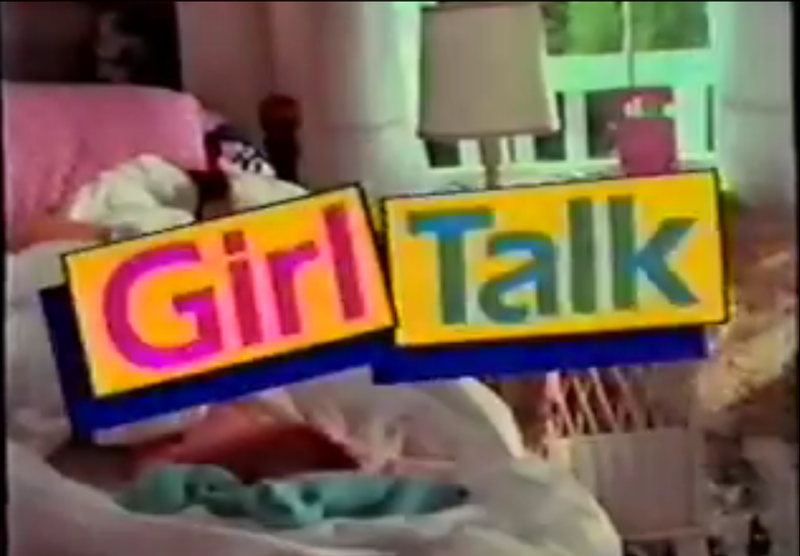 There was a Girl Talk television show starring Sarah Michelle Gellar, Soleil Moon Frye and an unfortunate girl not a part of the three-name-party who went by “Russell.” The product was a teen magazine chat show full of all the awkwardness you could expect from something created in 1989 starring Punky Brewster. Try forgetting that song in the next two days. This show was filled with everything one could expect. Even pointing out the most painfully awkward moments seems frivolous because segment after segment just provides more bizarre antics. It’s like the gift that keeps on giving. Russell awkwardly dancing after the theme song. She’s really no Soleil. Sarah Michelle Gellar (SMG) clearly ended up playing the dork of the show. But I’m not buying that. I asked my oldest sister, who was born in the late 70s, if Soleil Moon Frye was really cool at the time or not. She decidedly says no. What the hell was Head of the Class? Maybe I don’t believe my sister. Soleil seems to know everyone. And she can talk to boys. I’m now convinced she’s the coolest. If she was my friend I would definitely be the dorky one… which I guess in this case makes me SMG? I can live with that. Was Russell painting the nails… of her glove? Poor Russell. There is possibly nothing more 1989 than this show. Everything is so embarrassingly perfect, even down to the “Electric Youth” homework reference – so good. Sadly, there is no word on if there will be a future All Boy Girl Talk Band reunion in the future. Although, ironically, Brad Kane provided the singing voice for Aladdin so I suppose all things eventually come full circle in life. What are the final lessons we can take away from Girl Talk? Girls only care about boys and clothes. Raid your brother’s closet for promising fashion choices. Don’t do drugs if you don’t want to (otherwise it’s ok). School is gross. But most of all: stay away from GEEKS. 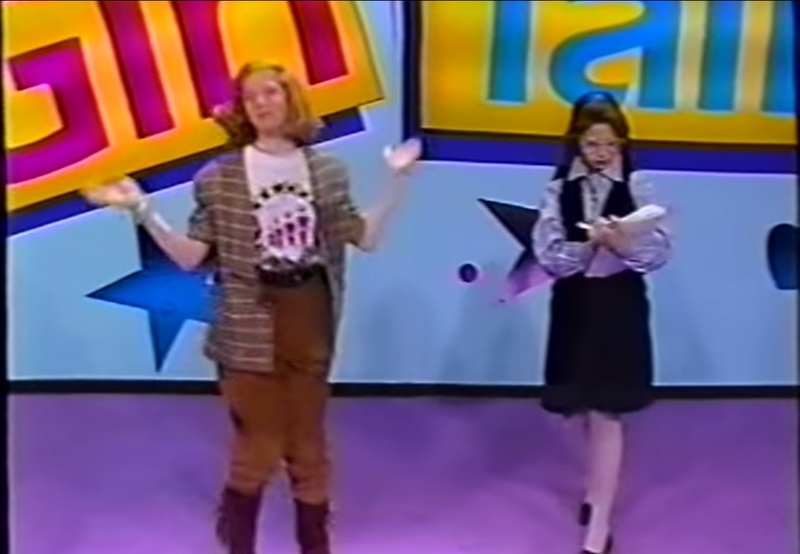 I couldn’t seem to locate our old Girl Talk game after digging through our basement, so here’s a bonus commercial for Girl Talk starring Jewel Staite of Firefly/Serenity fame. Enjoy. Special shout out to both of my sisters for answering all my weird questions so I could write this post. You’re the best!